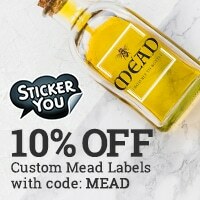 Followed the recipe on this website for making a 1 gallon batch of Mead. I am getting 1 yeast bubble every 10-12 seconds, Is this enough? How long should I let this sit before I guess racking it and bottling? Looking forward to many more batches is this works out. Your going to want to rack when the fermentation is about wrapped up. The best tool that one can purchase is a hydrometer. This will tell you if the yeast are still converting the sugars to alcohol. They are very inexpensive and yield the best information about how your fermentation is coming along. I am using a 1 gallon Glass Carboy, I have not shook or stirred the must yet, is this recommended? It's still fizzing, this I see a all times. 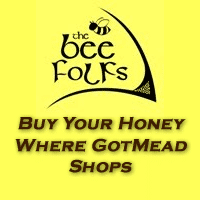 There is a lot of information in that guide that will really help in making a good mead. "bubble rates" are not a good way to judge your fermentation, there are way too many inconsistencies even among the same type of airlock, nevermind how good your seal is, etc etc etc... If it's visibly fizzing, it's still doing its thing so I wouldn't worry about it, as BrewinNColorado states, hydrometer readings are really the only way you're going to know how fast your fermentation is progressing. I also recommend a thorough read of the Newbee Guide.